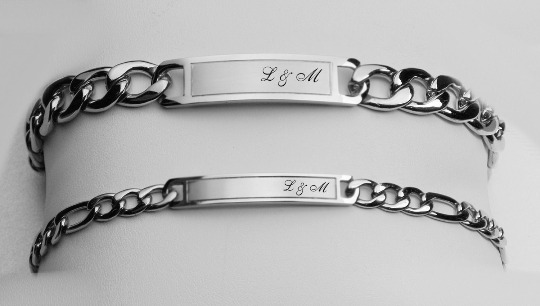 Our Engraved Couples Bracelet Set can be custom engraved with your message. 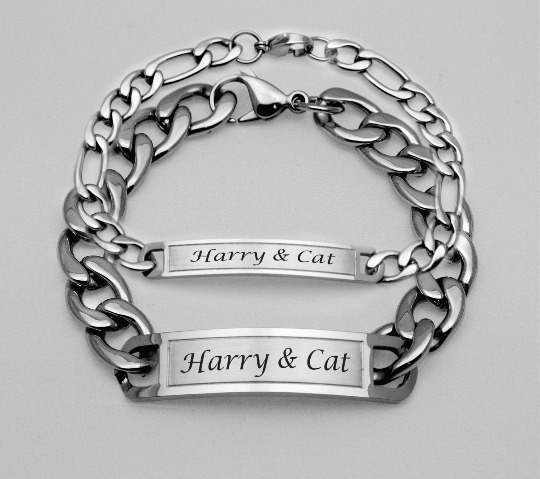 Both sides of each bracelet can be personalized with and engraving. 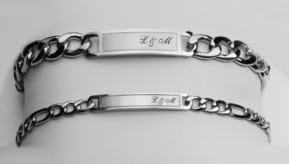 Custom engraved His and Hers Bracelet sets with high polished frame brushed center are a unique personalized gift. Plaque Dimensions Man's: 1.5" x 1/2"
Fits Wrist Sizes: up to 8 in. Plaque Dimensions Ladies: 1.5" x 1/4"
Fits Wrist Sizes: up to 7 1/2 in.